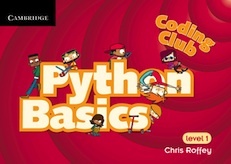 All Coding Club Books currently teach Python 3. This is freely available and easy to install on Windows, Mac and Linux computers. 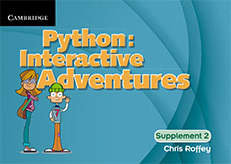 Python: Interactive Adventures, the latest level 2 book, is now available. It provides more exciting and fun learning material in a new context for students who wish to extend their learning or consolidate before moving on to level 3. In fact, it is fine to move on to either of the level 2 books after working through Python Basics so you can now choose whether you want to continue your Python journey while building a fun programmable calculator in Next Steps or while building small applications that focus on story-telling and a fun interactive game in Interactive Adventures. 4. 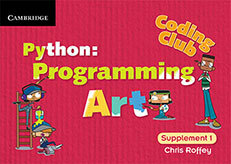 Level 1: Python Basics up to the Etch-a-sketch® project> Programming Art up to the graphics project > Finish Python Basics > Finish Programming Art. Whichever route you choose, you can be assured you will learn sound programming principles while producing a wide variety of small and larger applications that you will be able to use as the basis for many of your own projects. Fantastic news! As promised, all four Programming books in the series are now available at the prices shown below on the Cambridge Elevate Platform. I am very grateful to my friends in Cambridge for working so hard on these and hitting this deadline. Great news for schools! For the cost of less than 20 paper books, ALL your students can now have access to the Coding Club books as enhanced school edition e-books on Cambridge University Press's brand new Elevate platform for a full year. This means no more managing class sets, no more worrying about how to ensure the students all have the same edition and no more worrying if they have remembered to bring their copy of a text in from home! Now you can ensure that all students can easily access any of the books at any time allowing proper differentiation. The books are all being released over the next few months with all four being available by the ned of January. Don't forget to look at the new curriculum map for teachers to see how the series can be used to deliver the majority of the KS3 National Curriculum. The fantastic Black Flag book by Matt Langley has been out for a couple of weeks now. The accompanying website, where you can join the Anarchists hacking and coding along with the characters while guided by Danni, is now also up and running. Meanwhile take a moment to read Matt's blog about how this project all came about. Don't forget to add the book to your Christmas list - it is guaranteed to fit in your Christmas stocking! Here is a sneak peak of some fantastic news. 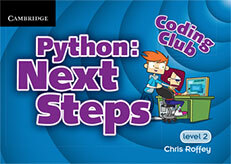 In September Coding Club will be releasing a Coding Novel! 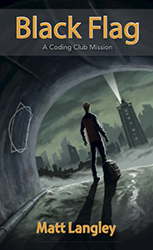 This is a fantastic adventure written by Matt Langley. It can be read, in its own right, as a normal book but for the full experience there will be a companion website that will go live at the same time where readers will be able to register and start their training as an agent. 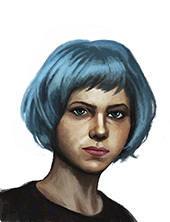 All the tools that the characters have available to them in the novel will also be available to readers who register on the companion website and, uniquely, readers will have the chance to try and solve the same coding problems the characters face! More info as we get nearer to publication date. In the meantime you can already pre-order from amazon if you want to make sure to get a copy as soon as it is out. If the price drops you are guaranteed to get it for the cheapest price available. Finally a level 1 supplement book joins the series. For those of you who have finished Python Basics and want to learn about how to create Art with a computer, we have just the thing for you. While learning to control a turtle you get the chance to practise all the things you learnt about in Python Basics. Then on to the main project where a fantastic Art App is built. Here you learn how to add background images, how to add keyboard and button control to your graphical programs, plus have a lot of fun. As usual the code is carefully but succinctly explained as you go along and so, by the end, you are able to completely hack all the programs and make them look and do just what you want them to. The Coding Club is going from strength to strength: more children are joining the club and no one ever misses any of the week-end sessions! This of course makes Mr Campbell fantastically happy but he is also very pleased that he now has a new helper. Sam features for the first time in Python: Programming Art which is being published at the end of April and going through its final production process at the moment. Sam is a secondary ICT and Computer Science teacher who runs a coding club at her school for 11-14 year olds. She definitely knows her stuff as she also teaches the A level Computer Science course. Sam has already brought some great new ideas to the club and the children adore her. When she is not coding and teaching, Sam loves travelling, keeping fit and taking part in "anything outdoors", especially if it involves beaches. There are a few things that are easier to show than explain in a book. Mr Campbell now stars in his own videos on this website! 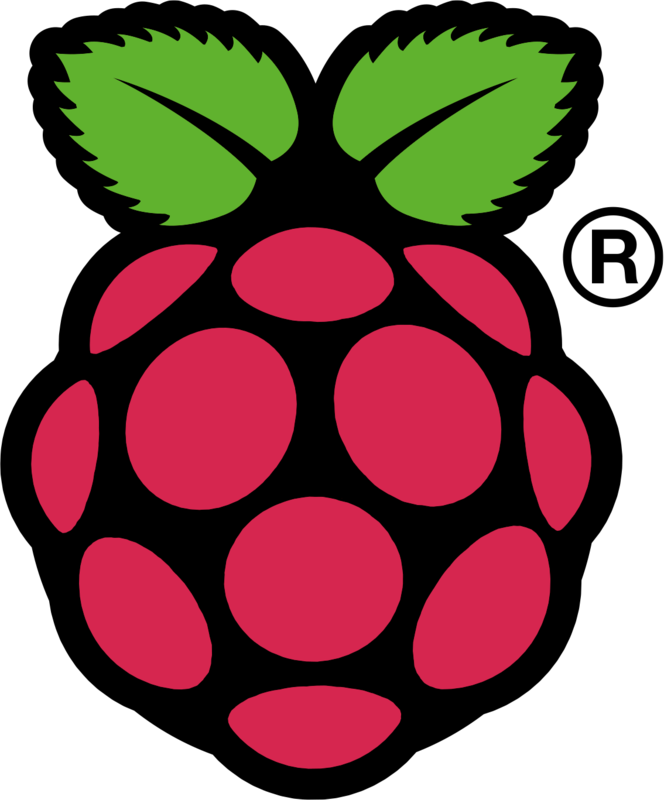 He shows you how to install Python 3 and test it is working OK on a Pi, Windows and a Mac. He also shares a few of his favourite tricks in IDLE. 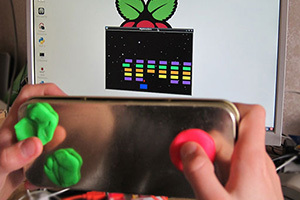 Got a Raspberry Pi but want a cool USB controller to play Pong on? Why not design your own? This controller only has three buttons and uses Playdoh but when you design your own there are many other options. These are discussed at the end of this tutorial. Playdoh is very colourful but it does lose its shape if you get excited! I was so proud to be asked to showcase the apps from the Coding Club series at the #include launch party in London recently. #include: "Our aim is to increase the diversity of the students studying Computer Science, to challenge the stereotypes and to create accessible opportunities for all students to experience the subject first hand." How cool is that? I believe that everyone is unique and as a consequence, different things appeal to different people no matter what group they belong to. This is why the Coding Club books available, and those currently in the pipeline, feature games, calculators, an etch-a-sketch app, interactive storytelling and art apps. The hope is that everyone will find something they are naturally interested in and hopefully also find new interests while at the same time learning to code well. It really worries me that youngsters worry so much about fitting in with stereotypes, that they limit their own freedom to be interested and enjoy anything. Why shouldn't a guy in the school football team also enjoy and pursue a ballroom dancing interest without worrying what his friends will think? Why do some girly girls who also enjoy programming worry that their friends won't understand them? It is great when I hear about people breaking these moulds, such as will.i.am taking up coding. It is people like Will who help free kids to try whatever interests them. There are many things that imprison us: our fear of the unknown, poverty, lack of a safe home, but worrying about peer pressure and stereotypes shouldn't be one of them. And to quote Kate Russell, from the BBC's flagship technology program Click: "Why wouldn't anyone want to learn programming?" 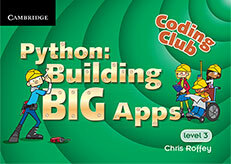 This is the web site that supports the Coding Club series of books. These are aimed at anyone who can type and wants to learn to program. Unlike most computer books, these are quite short books. Each has a project that practises what has been learnt. The books emphasise why the code is written the way it is and how to design Apps. All this while being fun and interesting too! >>> a tiny bit of tkinter to enable windowed apps. >>> designing code for re-use. "Why download games off the internet when you can make your very own versions and control exactly how they work and look!" 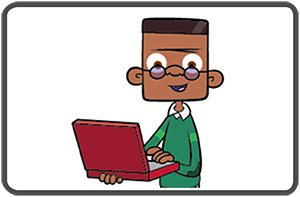 The Coding Club series of books can be used with any computer. There are versions for Mac, Linux and Windows. What if you cannot get on a computer easily? 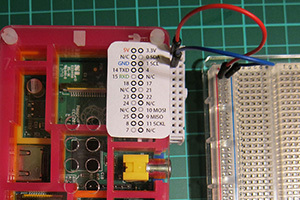 The answer to this is, surprisingly, just go and buy your own for about £30 from the RaspberryPi foundation!